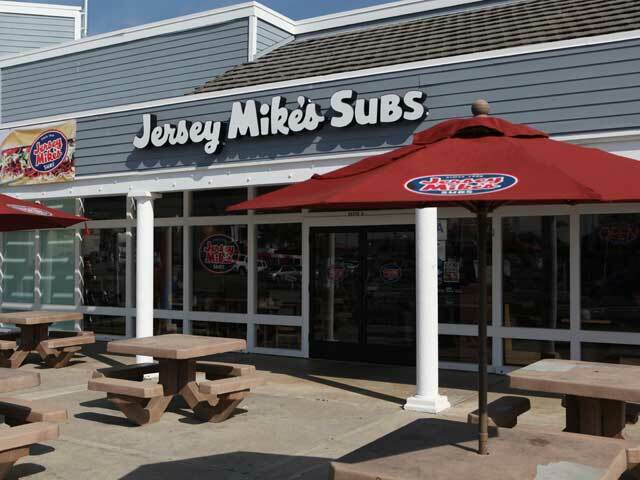 Jersey Mike’s – what exactly IS the brand promise? Recently a national sandwich chain Jersey Mike’s opened a franchise near my home. I had seen the brand on trips around the southeastern U.S. but never had the inclination to visit. I don’t eat many submarine sandwiches when on the road. That does not mean I don’t like subs as in fact I always have liked Subway and Blimpie, and even Quiznos was ok for awhile. Obviously, I have a predisposition for submarine sandwiches and it was only a matter of time before I finally tried Jersey Mike’s. After all it’s been around since 1956. Yet there was nothing in the store that offered information about the history of the franchise. It kind of looked like it had a history but even after visiting, I was not sure. The store offered much of the same type of fare to be found at the competition. They offer to toast the sub – nothing groundbreaking there these days. The cost of the sandwich was definitively more than at Subway or Blimpie or even Potbelly’s, which I have come to like. The quality was fine – that is to say that there was no discernible difference other than it was more expensive. So how is it possible that there are more than 1,300 locations for Jersey Mike’s? Was there anything unusual about my first (and possibly last) visit? Well maybe. I asked for a small sub sandwich but apparently this somewhat newly opened unit had run out of the smaller bread and decided to give me larger size at the same cost. …with the same amount of tuna, cheese and lettuce as the smaller sandwich (I presume). An ocean of bread with tuna was not a great combination. But even if the sandwich had been good it was not likely to be substantially better than at other competing chains. Just exactly what is Jersey Mike’s POD? A look at their website history page offers a pretty interesting and cool story. Today, the authentic taste – served Mike’s Way® with lettuce, onions, tomatoes, oil, vinegar and spices – is available nationwide. Our secret? Everything about Jersey Mike’s is high quality. Our certified Angus Beef top rounds are trimmed and cooked right in the store. Our meats and cheeses are all top-quality premium brands. Our bread is fresh-baked each day on the premises. And of course, everything’s prepared right in front of you. It’s what makes Jersey Mike’s the most authentic tasting submarine sandwich available. And it’s a tradition of quality we’ll never outgrow. Ok so maybe I ordered the wrong thing since obviously line-caught tuna is out of the question. Yet in no way did I understand that the Jersey Mike’s go-to-market promise was quality. I can assure you that the fact that ‘it is prepared in front of me’ (sic) is not a brand attribute as far as I or anyone else is concerned. At this point I have no real reason to try the brand again. Somehow I feel I am missing something. Can anyone tell me what makes Jersey Mike’s so great? This entry was posted in Best business practices, Brand Advertising and tagged Blimpie, History of Jersey Mike's, Jersey Mike's, Potbelly's, QSR Brand promises, QSRs, Subway Restaurants. Bookmark the permalink. 2 Responses to Jersey Mike’s – what exactly IS the brand promise? Actually I am glad to be disagreed with Pete particularly as it pertains to the 800 lb. gorilla Subway. Maybe my bar is too low where Subway is concerned but I never am all that excited to go to Subway (I sort of end up at Subway as a last resort when it happens) and the food is actually better than I would expect. In the case of Jersey Mike’s I expected more and felt like I received less. Perception. What it’s all about. Thanks for reading and the comment.